Hand painted stoneware bathroom set. Warm, homey color scheme of golds, green, and brown. 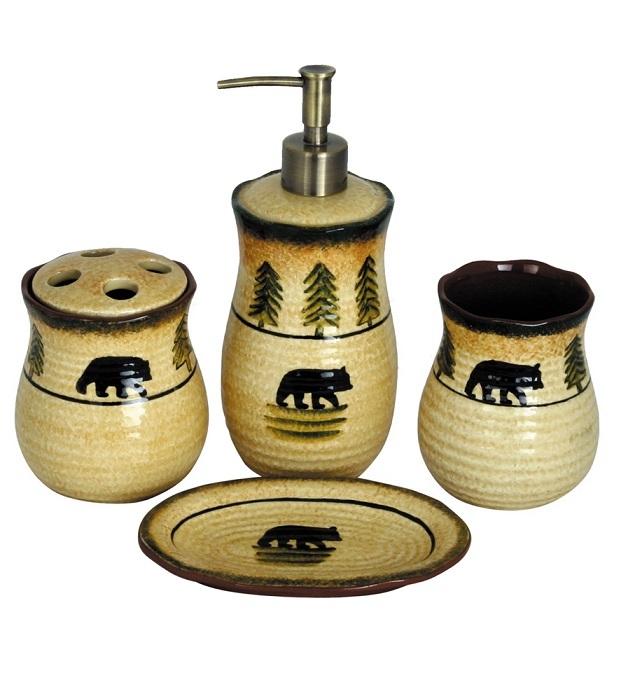 4 piece set includes toothbrush holder, soap dispenser, soap dish, and tumbler.